PAX - Program of Academic Exchange provides global education and exchange opportunities for students, host families, schools, and communities to open doors, embrace cultures, and become family. 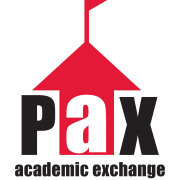 PAX - Program of Academic Exchange envisions a global community of people who are open minded and appreciate cultural differences, because we believe such a community is a fertile field for justice, peace, and prosperity. We aspire to be the quality leader in academic exchange and experiential learning because we believe such experiences transform the individual’s ability to influence our world for the better. PAX now serves 1,000 participants from more than 70 countries using those same values. Along the way, the organization moved into the loft of an historic 1880s renovated warehouse alongside the Byram River in Port Chester, New York, maintains an enthusiastic office staff of 30, and enjoys a network of more than 300 committed volunteers and 600 welcoming high schools throughout the U.S. To date, more than 20,000 students have successfully completed the PAX program. Would you recommend PROGRAM OF ACADEMIC EXCHANGE?